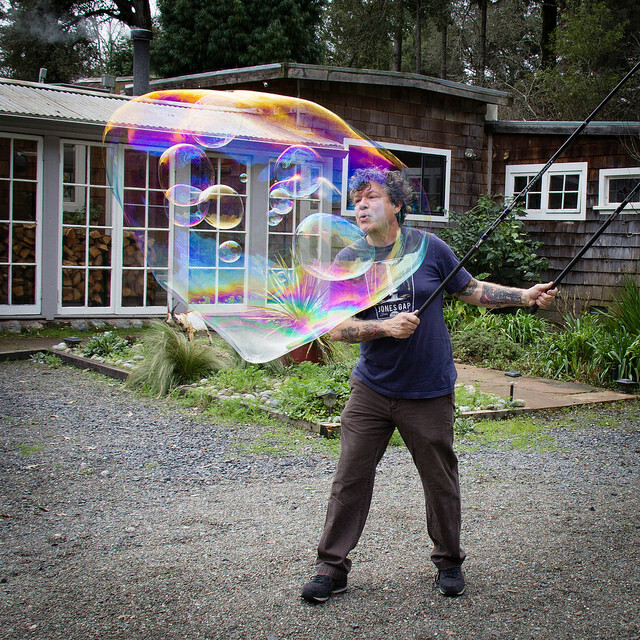 Founder of Big Top Bubbles, Hernan Cortez (aka “Frowny Joseph”) combines circus comedy and amazing giant soap soap bubbles to delight children and adults alike. 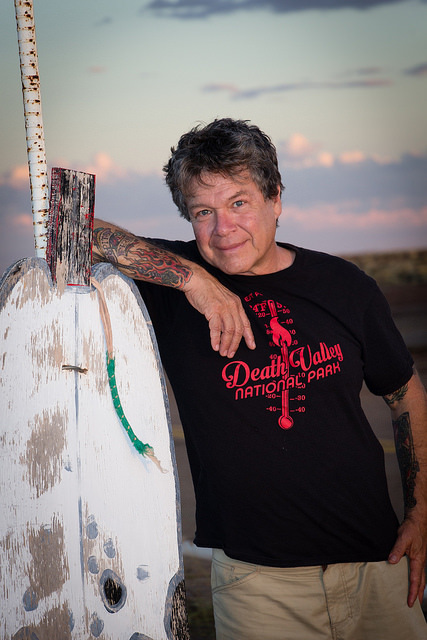 A graduate of Flying Actor Studio and the Clown Conservatory, Hernan has actively performed throughout Northern California for decades. Hernan is an energetic comic performer with skills including clowning, mime, sword swallowing, slight of hand and magic. He also does professional sound and light engineering for events throughout the San Francisco Bay Area. To learn more about Hernan, visit SFBusker.com. I work to ensure that the entertainment for your special day is perfect, from start to finish. As the father of two rambunctious boys myself, I understand the value of vigorous play, and how to ensure that kids have a fun and safe time full of laughter and giant bubbles. 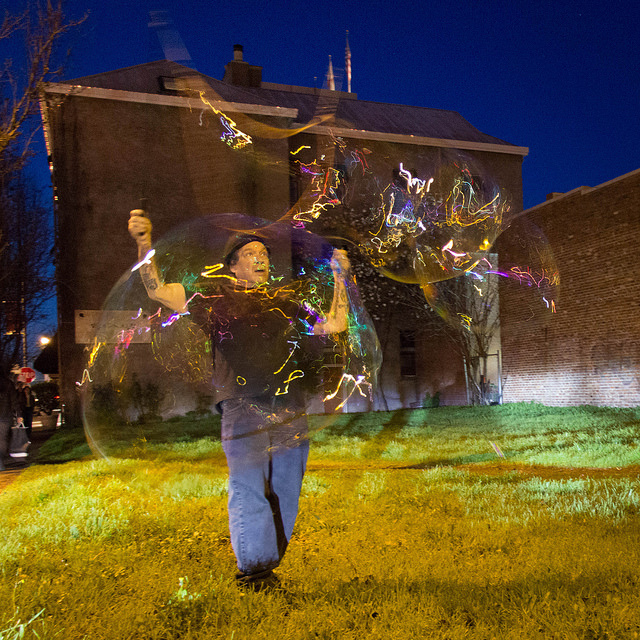 This is like no bubble show you’ve ever seen—it includes lots of laughter, uncommonly beautiful bubbles, and even the occasional clown chase. 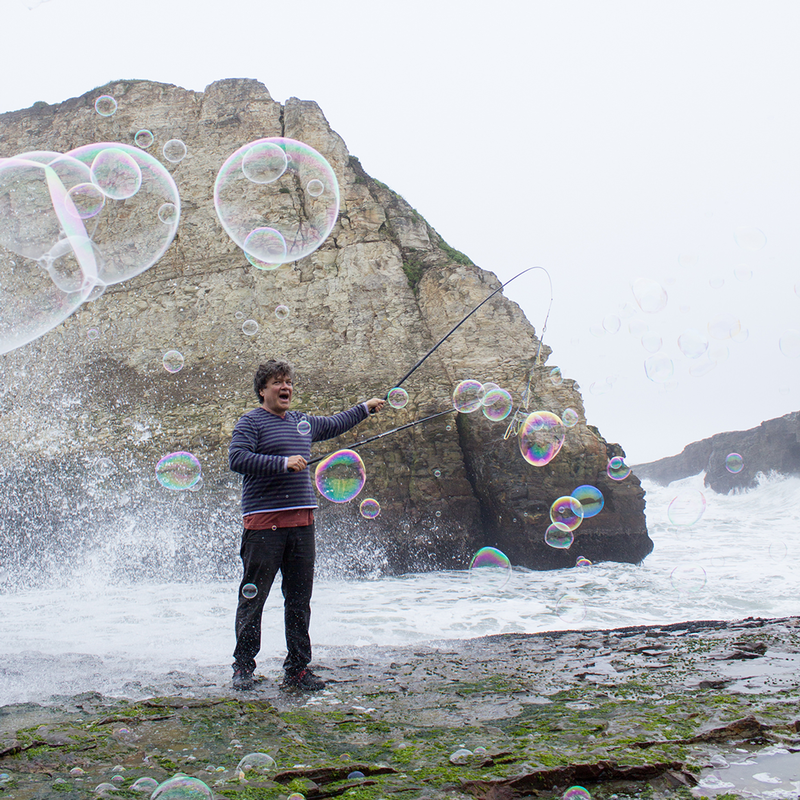 Bubbles for fun at Davenport Beach. Street bubbles in Santa Rosa.